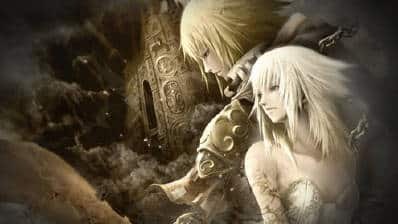 Having at last updated the official website for Pandora’s Tower, Nintendo have finally detailed further information in regards to the gameplay that can be expected from the title. As we knew previously, central hero Ende finds that his friend Ceres has been cursed and is doomed to gradually turn into beast form. If her fatal transformation is allowed to complete, the game will end. It falls to you, in the role of Ende, to fight the curse by obtaining the flesh of beasts that you find in various towers that will serve as the game’s stages. Ceres, who is humorously a vegetarian apparently, must eat the collected flesh to dampen the effects of the curse. During play, you’ll be able to keep a watchful eye on the current state of the curse via a circular gauge in the lower left corner of the screen (see below), and once this has emptied completely the game will end. The deeper you are able to reach in each tower, the higher the reward. You’ll be able to discover tower masters, although you’ll have to perform a number of tasks to unlock the door that seals them away. However, you can alleviate the effects of the curse by using the flesh of smaller servant creatures – a necessity as you’ll have to temporarily leave the towers to feed Ceres if you see the curse gauge approaching zero.